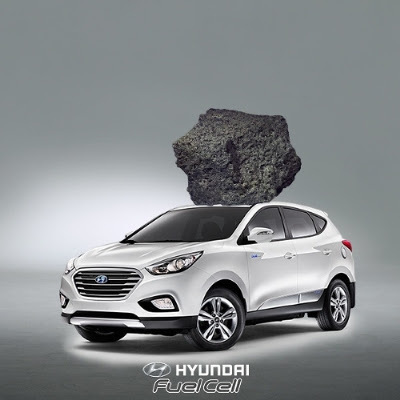 Hyundai Tucson Fuel Cell drivers have again surpassed an impressive threshold, accumulating enough emissions-free miles to reach the lunar surface and return, all while emitting only clean water vapor. A trip from the Earth to the moon and back varies with each lunar orbit, with 477,800 miles as an average round-trip distance. Hyundai has delivered 70 Tucson Fuel Cells since its introduction as the first mass-produced fuel cell in the U.S. market in June 2014. "Surpassing another fundamental stellar threshold gives us a glimpse into the unlimited zero-emissions potential for Hyundai fuel cells," said Mike O'Brien, vice president, corporate and product planning, Hyundai Motor America. "If a small fleet of hydrogen-powered fuel cell vehicles can accumulate this kind of mileage in just a few short months, one can only imagine the potential for a zero-emissions hydrogen vehicle future. It took the growing Tucson Fuel Cell owner fleet about 240 days to reach the moon, but only half that for the return trip."